"Operation Chariot" redirects here. For the proposed construction of a harbour by nuclear weapons, see Project Chariot. The St Nazaire Raid or Operation Chariot was a British amphibious attack on the heavily defended Normandie dry dock at St Nazaire in German-occupied France during the Second World War. The operation was undertaken by the Royal Navy and British Commandos under the auspices of Combined Operations Headquarters on 28 March 1942. St Nazaire was targeted because the loss of its dry dock would force any large German warship in need of repairs, such as Tirpitz, sister ship of Bismarck, to return to home waters by running the gauntlet of the Home Fleet of the Royal Navy and other British forces, via the English Channel or the GIUK gap. The Louis Joubert Lock also known as the Normandie Dock, is a lock and major dry dock located in the port of Saint-Nazaire in Loire-Atlantique, northwestern France. The obsolete destroyer HMS Campbeltown, accompanied by 18 smaller craft, crossed the English Channel to the Atlantic coast of France and was rammed into the Normandie dock gates. The ship had been packed with delayed-action explosives, well-hidden within a steel and concrete case, that detonated later that day, putting the dock out of service for the remainder of the war and up to five years afterwards. HMS Campbeltown was a Town-class destroyer of the Royal Navy during the Second World War. She was originally US destroyer USS Buchanan, and, like many other obsolescent U.S. Navy destroyers, she was transferred to the Royal Navy in 1940 as part of the Destroyers for Bases Agreement. Campbeltown became one of the most famous of these ships when she was used in the St. Nazaire Raid in 1942. A force of commandos landed to destroy machinery and other structures. German gunfire sank, set ablaze or immobilised virtually all the small craft intended to transport the commandos back to England. The commandos fought their way through the town to escape overland but many surrendered when they ran out of ammunition or were surrounded by the Wehrmacht defending Saint-Nazaire. Of the 611 men who undertook the raid, 228 returned to Britain, 169 were killed and 215 became prisoners of war. German casualties were over 360 dead, some of whom were killed after the raid when Campbeltown exploded. To recognise their bravery, 89 members of the raiding party were awarded decorations, including five Victoria Crosses. After the war, St Nazaire was one of 38 battle honours awarded to the Commandos. The operation has been called The Greatest Raid of All within British military circles. 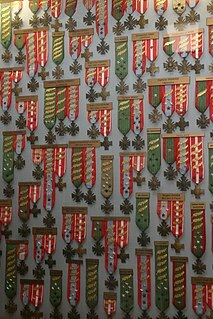 Military awards and decorations are a distinction given as a mark of honor for military heroism, meritorious or outstanding service or achievement. It is often a medal consisting of a ribbon and a medallion. An ocean liner is a passenger ship primarily used as a form of transportation across seas or oceans. Liners may also carry cargo or mail, and may sometimes be used for other purposes. The SS Normandie was an ocean liner built in Saint-Nazaire, France, for the French Line Compagnie Générale Transatlantique (CGT). She entered service in 1935 as the largest and fastest passenger ship afloat; she remains the most powerful steam turbo-electric-propelled passenger ship ever built. HMS Campbeltown being converted for the raid. There are twin lines of armour plate down each side of the ship and the Oerlikon mountings. Two of her funnels have been removed, with the remaining two cut at an angle. The Germans had around 5,000 troops in the immediate area of St Nazaire. The port was defended by the 280th Naval Artillery Battalion under the command of Kapitän zur See Edo Dieckmann. The battalion was composed of 28 guns of various calibres from 75 mm to 280 mm railway guns,  all positioned to guard the coastal approaches. 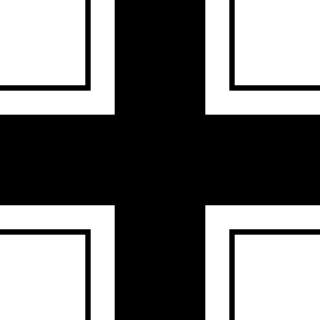 The heavy guns were supplemented by the guns and searchlights of the 22nd Naval Flak Brigade [nb 3] under the command of Kapitän zur See Karl-Konrad Mecke. At around 2am, the convoy was sighted by the German submarine U-593, which dived and later reported the British ships as moving westward, further complicating the German understanding of the raid. HMS Campbeltown wedged in the dock gates. Note the exposed forward gun position on Campbeltown and the German anti-aircraft gun position on the roof of the building at the rear. There were only two other MLs in the vicinity: ML 160 had continued past the dock and was engaging targets upriver, ML 269 appeared to be out of control and was running in circles. Close up of HMS Campbeltown after the raid. Note the shell damage in the hull and upper works and the German personnel on board the vessel. According to Captain Robert Montgomery (Royal Engineers, attached to No.2 Commando), Campbeltown was meant to have detonated at 4:30am, the delay caused, he believes, by some of the acid in the pencil detonators being distilled away. As the morning progressed, more and more captured comrades joined him in the German HQ. Normandie Dock months after the raid. The wreck of HMS Campbeltown can be seen inside the dry dock. The explosion put the dry dock out of commission for the remainder of the war. The St Nazaire raid had been a success, but at a cost—of the 622 men of the Royal Navy and Commandos who took part in the raid, only 228 men returned to England. Five commandos escaped via neutral Spain and Gibraltar with the help of French citizens and took ship to England; 169 men were killed (105 RN and 64 Commandos) and another 215 became prisoners of war (106 RN and 109 Commandos). They were first taken to La Baule and then sent to Stalag 133 at Rennes. The fallen British raiders were buried at the La Baule-Escoublac cemetery, 13 km (8.1 mi) west of St Nazaire, with military honours. A new HMS Campbeltown, a Type 22 frigate, was launched on 7 October 1987. She carried the ship's bell from the first Campbeltown which was rescued during the raid and had been presented to the town of Campbelltown, Pennsylvania at the end of the Second World War. In 1988 the people of Campbelltown voted to lend the bell to the new ship for as long as she remained in Royal Navy service. The bell was returned to the town on 21 June 2011 when HMS Campbeltown was decommissioned. 1 2 3 4 "No. 38086". The London Gazette (Supplement). 30 September 1947. pp. 4633–4640. 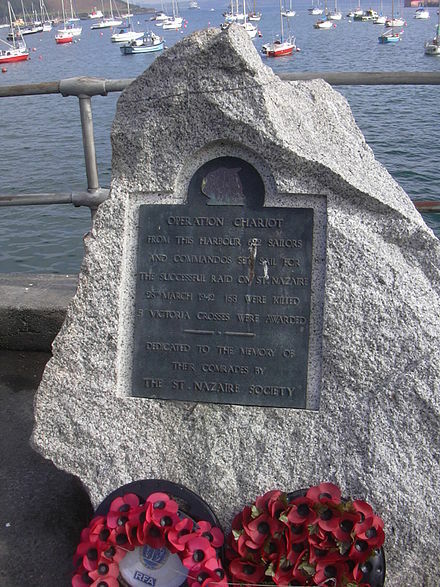 1 2 3 4 "HMS Campbeltown Commemorates the Raid on St Nazaire 28 March 1942". Royal Navy . Retrieved 6 August 2010. ↑ Arthur, Max (28 October 1998). "Obituary: Lord Newborough". The Independent (28 October 1998). London. Retrieved 11 August 2010. ↑ "Campaign Diary March 1942". Royal Air Force . Retrieved 7 August 2010. 1 2 "No. 37134". The London Gazette (Supplement). 15 June 1945. pp. 3171–3172. 1 2 3 "No. 35566". The London Gazette . 19 May 1942. p. 2225. ↑ "Medals Awarded". St Nazaire Society. Archived from the original on 14 September 2012. Retrieved 12 August 2010. ↑ "Centenary of 'Spitfires of the Seas'". BBC News. Retrieved 25 August 2016. ↑ "O'Leary, Thomas (IWM interview)". Imperial War Museums. 24 April 1990. Retrieved 25 August 2016. ↑ "No. 37134". The London Gazette (Supplement). 15 June 1945. pp. 3172–3172. 1 2 St George Saunders, Hilary (24 May 1943). "St Nazaire". Life . Retrieved 15 August 2010. ↑ Wingate, John (1972) . HMS Campbeltown (USS Buchanan). Warships in Profile Vol.1. Garden City, New York: Doubleday. p. 117. ↑ "Campbeltown pays tribute to the Greatest Raid of All". Navy News . 4 April 2001. Archived from the original on 20 March 2007. Retrieved 14 August 2010. ↑ Arthur, Max (2004). Forgotten Voices of the Second World War (2005 ed.). London: Ebury Press. p. 187. ISBN 0091897351. ↑ "Homepage of the St Nazaire Society". St. Nazaire Society. Archived from the original on 14 September 2012. Retrieved 7 August 2010. ↑ "Remembering the St Nazaire raid". BBC. Retrieved 11 August 2010. ↑ "HMS Campbeltown". Royal Navy . Retrieved 7 August 2010. ↑ "Ship's Bell". Royal Navy . Retrieved 7 August 2010. USS Buchanan (DD-131), named for Franklin Buchanan, was a Wickes-class destroyer in the United States Navy. Captain Robert Edward Dudley Ryder was a Royal Navy officer and a British recipient of the Victoria Cross, the highest award for gallantry in the face of the enemy that can be awarded to British and Commonwealth forces. He became a Conservative Member of Parliament after retiring from the navy. The Town-class destroyers were a group of destroyers transferred from the United States Navy to the Royal Navy and the Royal Canadian Navy in exchange for military bases in the Bahamas and elsewhere, as outlined in the Destroyers for Bases Agreement between Britain and United States, signed on 2 September 1940. They were known as "four-pipers" or "four-stackers" because they had four smokestacks (funnels). Later classes of destroyers typically had one or two. Thomas Frank Durrant VC was a soldier in the British Army during the Second World War and a posthumous English recipient of the Victoria Cross, the highest and most prestigious award for gallantry in the face of the enemy that can be awarded to British and Commonwealth forces. 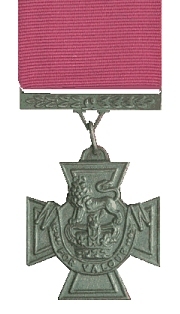 His award of the Victoria Cross was unique in that it is the only award given to a soldier in a naval action and it was on the recommendation of the enemy commander. The Fairmile C motor gun boat was a type of Motor Gun Boat designed by Norman Hart of Fairmile Marine for the Royal Navy. An intermediate design, twenty-four boats were built in 1941 receiving the designations MGB 312 - 335. Coastal Forces was a division of the Royal Navy initially established during World War I, and then again in World War II under the command of Rear-Admiral, Coastal Forces. It remained active until the last minesweepers to wear the "HM Coastal Forces" cap tally were taken out of reserve in 1968. German submarine U-74 was a Type VIIB U-boat of Nazi Germany's Kriegsmarine during World War II. 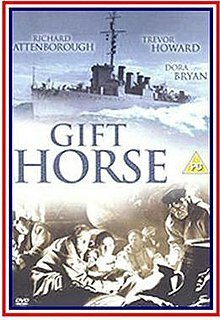 Gift Horse is a 1952 British black-and-white World War II drama, produced by George Pitcher, directed by Compton Bennett, that stars Trevor Howard, Richard Attenborough, James Donald,Sonny Tufts, and Bernard Lee. Le Croisic, is a commune in the Loire-Atlantique department in western France. The United States Navy established a naval air station on 27 November 1917 to operate seaplanes during World War I. The base closed shortly after the First Armistice at Compiègne. The writer and historian Auguste Lorieux (1796–1842) was born in Le Croisic. Robert Charles Michael Vaughan Wynn, 7th Baron Newborough, DSC was a British peer and Royal Naval Volunteer Reserve officer who played a decisive role during the St. Nazaire Raid in 1942 where he commanded a motor torpedo boat. Captured after his boat had to be abandoned, he was sent to Colditz after an escape attempt. He was repatriated after feigning illness. HMS Tynedale was a Hunt-class destroyer of the first subgroup which served during the Second World War. She was sunk by the U-593 on 12 December 1943. Tirpitz was the second of two Bismarck-class battleships built for Nazi Germany's Kriegsmarine (navy) during World War II. Named after Grand Admiral Alfred von Tirpitz, the architect of the Kaiserliche Marine, the ship was laid down at the Kriegsmarinewerft Wilhelmshaven in November 1936 and her hull was launched two and a half years later. Work was completed in February 1941, when she was commissioned into the German fleet. Like her sister ship Bismarck, Tirpitz was armed with a main battery of eight 38-centimetre (15 in) guns in four twin turrets. After a series of wartime modifications she was 2000 tonnes heavier than Bismarck, making her the heaviest battleship ever built by a European navy. HMS Atherstone was a Hunt-class destroyer of the Royal Navy. She was launched in late 1939 as the first of her class but was found to be unstable, and had to undergo significant modifications before entering service in March 1940. Donald Roy DSO, was a British Commando officer during the Second World War. As a captain in No.2 Commando, Roy led an assault troop in the St. Nazaire Raid in March 1942. HMS Brocklesby was a Type I Hunt-class destroyer of the Royal Navy. She served during the Second World War, spending much of the time in the English Channel and Mediterranean, taking part in the Dieppe Raid in 1942, and the Allied landings in Sicily and at Salerno in 1943. After the war, she was used as a sonar trials ship until 1963, and was sold for scrap in 1968. Bradham, Randolph (2003). Hitler's U-boat Fortresses. Santa Barbara: Greenwood. ISBN 0-275-98133-9. Eckhertz, Holger (2016). D Day Through German Eyes. US: DTZ History. ISBN 978-1-5395-8639-5. Ford, Ken (2001). St. Nazaire 1942: The Great Commando Raid. Campaign Series No 92. Oxford: Osprey. ISBN 1-84176-231-8. Hinsley, F. H.; et al. (1981). British Intelligence in the Second World War: Its Influence on Strategy and Operations. II. London: Her Majesty's Stationery Office. ISBN 0-11-630934-2. Lambert, John; Ross, Al (1990). Allied Coastal Forces of World War II: Fairmile Designs and US Submarine Chasers of Allied Coastal Forces of World War II. I. London: Conway. ISBN 0-85177-519-5. Miller, Russell (1981). The Commandos. Alexandria: Time-Life Books. ISBN 0-8094-3401-6. Moreman, Timothy Robert (2006). British Commandos 1940–46. Oxford: Osprey. ISBN 1-84176-986-X. Zaloga, Stephen J (2007). The Atlantic Wall: France. I. Oxford: Osprey. ISBN 1-84603-129-X. Wikimedia Commons has media related to Operation Chariot, St. Nazaire 1942 .